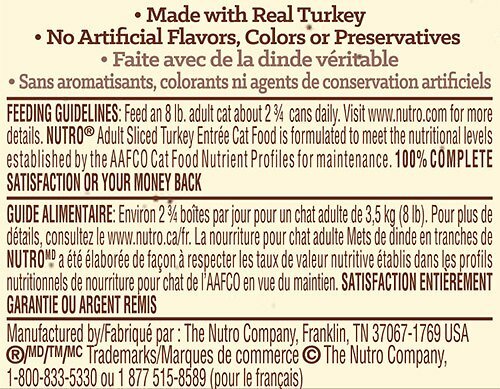 Your kitty loves real meat, so give him the nutrition he craves with the Nutro Adult Sliced Turkey Entree in Savory Sauce Grain-Free Canned Cat Food. Featuring real turkey as a top ingredient in a whisker-licking sauce, it provides plenty of protein for healthy muscles and yummy flavor for a satisfied tummy. Every bite is also packed with all the nutrients your pal needs to look and feel his best every day, like vitamins, minerals and essential taurine. Plus, it also provides plenty of moisture to help keep him hydrated and healthy from nose to tail! And with no grains, fillers or anything artificial, even sensitive kitties can enjoy. Adult wet food recipe features real slices of turkey as a top ingredient for the protein needed to support healthy, lean muscles. Turkey Broth, Turkey, Turkey Liver, Pork Broth, Egg Product, Natural Flavors, Minerals (Calcium Carbonate, Ferrous Sulfate, Zinc Oxide, Copper Proteinate, Manganese Sulfate, Sodium Selenite, Potassium Iodide), Guar Gum, Tetra Potassium Pyrophosphate, Vitamins (Choline Chloride, Thiamine Mononitrate [Vitamin B1], Vitamin E Supplement, Niacin, D-Calcium Pantothenate, Pyridoxine Hydrochloride [Vitamin B6], Vitamin A Supplement, Vitamin D3 Supplement, Biotin, Vitamin B12 Supplement, Folic Acid), Xanthan Gum, Taurine. To feed alone: Feed an 8 lb Adult cat about 2 3/4 cans daily. the only food my cat will eat! everything arrived exactly as described, when it was scheduled to perfectly and my cat loves it! Smells good enough for me! A lot of sauce and smells good and she licks the bowl dry and eats every slice. All 3 kitties love this canned food. It has a lot of gravy. 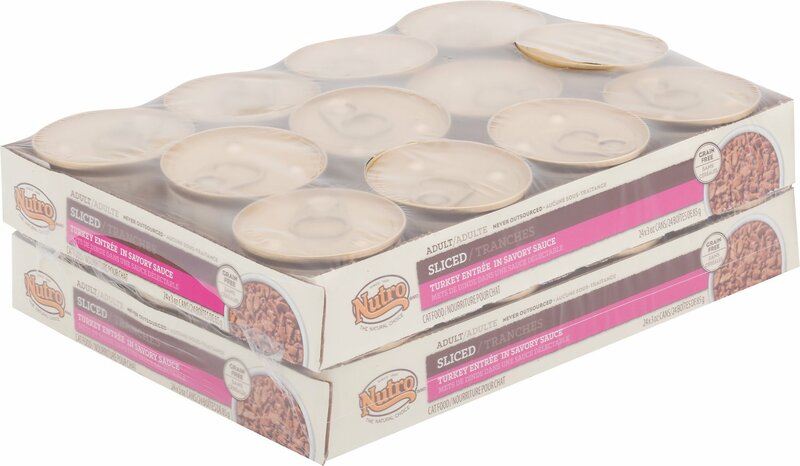 My cat eats only 2-3 nutro brand 3 oz cans but will not touch this one; got stuck with a case of this and 2 others, donated some, rest to my raccoons and they don't complain and finish it. Luna, our female cat, has been know to have a discerning taste especially with wet food. She enjoys this flavor very much! She likes turkey. My other cat has wet food that Luna will not eat. My foster kitties love this food! They prefer ones with gravy over pate so I began looking for a better quality version. When I gave them this during my taste test week, they licked the plate clean! Out of more than a dozen different cans, this one has come out the clear winner. 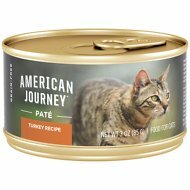 My cats absolutely love this food. It also makes their coat shiny and they shed less so I know it is good for them as well. My EXTREMELY picky seven year old cat WOULD NOT eat wet food, no matter what I tried. I finally decided to give this a chance and to my delight, she LOVES it! She licks her bowl clean! THANK YOU, Nutro, for the small morsel size and enough sauce to last until the can is empty...GREAT product!! 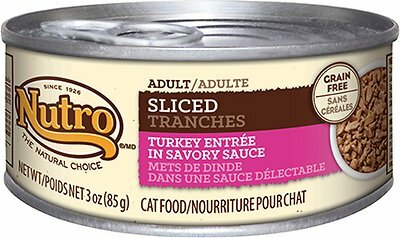 Chewy is a great company and my cat loves this food!